Welcome to the RLP Learning Project Blog. Learning- the final documentation challenge? These are the blogposts of the PSAM Regional Learning Programme Learning Pilot Technical Team. The mission: to render to the best of our ability the complex, subtle and integral experiences of the Learning Pilot, to seek out new insights about the social accountability process, to capture the vast and deep experience of partner organizations. To boldly blog like the RLP has never blogged before. In August of 2016, the Regional Learning Program began a Learning Pilot project to document, well, the learning aspect of the social accountability method. In this blog, the technical team of this project will be keeping a record of the experiences and insights of the project in the hopes of contributing to literature about the learning process. We look forward to sharing our thoughts and to engaging with you via this platform. Regional Learning Programme Manager at PSAM. Boss. Greetings! My name is Yeukai Mukorombindo. I have previously conducted research monitoring and advocacy around social accountability. I am currently working in the Regional Learning Programme, as a Monitoring, Evaluation and Learning Program Officer & Capacity Builder for our partners. My role is to help the RLP and its partners learn from applying and adapting PSAM approach to social accountability. Let the fun begin! Hola! I am a consultant who specializes in learning & promoting learning for improving the work of accountability, anticorruption, governance and development organizations. My projects often require experimenting putting together a different “secret sauce” than I used for the previous one. The ingredients? Pay attention to the relations and capacities of diverse stakeholders in context and patiently nurture them, because they are the stock (or the base for good sauce making). Mix some theory and research with practice and strategy. Combine global with regional and local “spices.” There is technique involved, but one always has to test the “sauce,” adjust, and test again. I am Argentinean, a home cook, and a bit of a nomad: if you follow our journey and my twitter account (@guerzovich), you’ll find out. Hello. I am a Tanzanian journeyman communications consultant who specializes in small bespoke projects for clients, mainly in the areas of media analysis, advice and social media. In addition to consulting work, I column for The East African newspaper and blog at The Mikocheni Report. During the Learning Pilot I will be curating this blog, and I am very excited to engage with this dynamic and real-time experiment in learning together. Karibu. How do you know you are learning? Should organizations learn? How do organizations learn? These are some thought provoking questions about learning that we were faced with at a Monitoring, Evaluation and Learning (MEL) workshop for the Social Accountability Monitoring (SAM) community recently organized by the Public Service Accountability Monitor (PSAM). Learning is revolutionary and dynamic thus there is always something to learn. Individuals and organizations should never stop learning as learning allows growth, improvement of quality of work and services. It is important that as organization continue to implement their work learning should also be documented and incorporated. However, why learn? Organizations need to learn more than ever as they confront mounting forces such as intensifying competition, advances in technology and shifts in customer preferences. Peter Senge in the Fifth Discipline wrote, learning organizations are “ organizations where people continually expand their capacity to create the results they truly desire, where new and expensive patterns of thinking are nurtured, where collective aspiration is set free and where people are continually learning how to learn together”. Learning cannot happen independent of implementation thus the need for the creation of a Monitoring, Evaluation and Learning (MEL) framework. The purpose of having a MEL framework is for knowledge generation, tracking progress, accountability and sharing information. However, this is only possible if organizations ensure that their organization culture and Theories of Change support learning. Management in organizations should also create space for learning; this can be done through having open reflection for all members of staff. MEL must be aligned to the goals of the organization and integrated throughout the entire programming circle with clear divisions of labour. To implement MEL organizations should also ensure that data collected is controlled for quality assurance that ensures accuracy, credibility and supports decision making in the organization. There is need to create the demand for MEL in organizations. This can be done through ensuring that senior management buy into the ideal of MEL and ensure resources are allocated to it. There is also need to ensure that MEL is clearly included in funding proposals to ensure it is allocated resources. Organizations can also create MEL champions who can spearhead and oversee all activities related to MEL and ensure that it is practiced in the organization. Organizations can also create or join learning communities and evaluation associations. Additionally, for organizations to learn they must be able to document their work and practice good knowledge management. Knowledge Management (KM) focuses on the various management processes that facilitate finding, identifying, capturing, creating, storing, sustaining, applying, sharing and renewing knowledge to improve an organisation’s performance. Organizations need to adopt an adaptive way of thinking and working especially those working in the social accountability sector given that the sector is constantly changing. The adaptive strategies mean responding to change, lessons and adjusting plans/methods in order to be effective. This simply means organizations need to ensure that they are able to document their work so as not to lose sight of where they are coming from and where they wish to be. Actively managing knowledge can help organizations increase their chances of success by facilitating decision-making, building learning environments by making learning routine and stimulating cultural change and innovation. By proactively implementing KM systems, organizations can rewrite the old saying “change is inevitable, growth is optional” to “change is inevitable, growth is intentional”. (Smith and Lumba, 2008). If you were lucky enough to join us for our first webinar series, you would not be surprised that there were a number of lessons that emerged from each country case study. If you did not join us, see the recordings below. 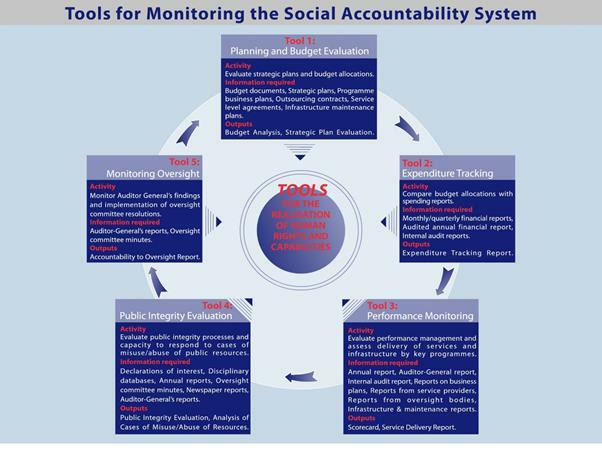 In August 2016, the Public Service Accountability Monitor’s (PSAM)’s Regional Learning Programme (RLP), along with partners implementing Social Accountability Monitoring (SAM) in 4 countries (Zimbabwe, Zambia, Tanzania & Mozambique) identified the need for a needs-based diagnostic of the link between SAM practice and monitoring, evaluation, and learning (MEL) at the individual and community levels. One partner organisation in each country volunteered to take part in the learning pilot and share their SAM and MEL challenges. If you missed the webinars, you may access the recordings, PowerPoint presentations as well as Narrative feedback containing questions asked by participants and responses from the presenters below. My life as a consultant often involves too many plane routes and travel schedules. It is less glamorous than it sound. Pack and unpack, do the laundry in less than a few days. Adjust to different time zones with little time to recover. Still get the job done. During the trips, the waiting area in an airport or the little “desk/tray” in the plane – when the person in front does not recline their seat- are potential temporary offices where work competes with movies, sleep, and time to grab a meal. The beginning of this project was no exception. Check out how thinking on this project happened in real time. As you may have read in a prior post, a window of opportunity for learning had opened up for the PSAM regional learning community in Bulawayo, Zimbabwe. When I said goodbye to colleagues at Bulawayo’s airport and O.R. Tambo, I had no certainty about whether that window would effectively remain open. I took 3 flights and a six hour road trip to get “home” and all I could think was “the clock is ticking” to grab onto this opportunity. I had “lots of time” – although it never seems like enough – to think about what could make or break the agreement to embark on a regional learning pilot. I kept going over all my notes from Bulawayo as I stepped in and out of planes. My head was spinning around how to best work with a community of social accountability practitioners that has identified a need to get better at learning and doing together?. A complex puzzle to put together, many pieces. How could we identify all the relevant partners’ urgencies and interests and put together a shared roadmap that made sense overall and for all? Clock ticking indeed. In two weeks, I had to come up with the broad parameters of a joint roadmap that would help the partners we met in Bulawayo (now working in their homes across Southern Africa) decide to join in. We needed to build on our conversations, but think beyond Bulawayo. Would this roadmap help people convince bosses and colleagues at “home” that a leap of faith and potential benefits of learning were worth the risk and costs of joining the pilot? So… what were the make or break issues that the roadmap needed to consider and how to balance concerns? Lots of work went into creating a living document, open to comments and modifications to make sure we were on the same page with all (or found good enough compromises for all). In the document we invited PSAM’s partners to send us expressions of interests were they willing to experiment with us. A temporary sense of relief came to us when this tentative roadmap was off. The wheels were turning. We are starting to move forward. But of course, relief is short lived when the clock is ticking. Then, we faced THE question. Will we receive any expressions of interests to actually implement the roadmap? How will our proposal be taken? Would it meet the expectations of the people in Bulawayo? You’ll have to come back to learn what happened next. Coming into the position of MEL officer and learning about social accountability was not my ‘forte,’ but since embarking on this learning journey there are few lessons that I have picked up that I wish to share. In civil society we are constantly battling the tension between having a lot to learn and a limited amount of time in which to learn. Civil society schedules are packed full of activities and deadlines driven by one thing only – achieving results. By the time all is said and done, there is just too little time or energy left for learning. Why set aside time to learn because others say we should when we could be using that time to achieve results? Time is precious, we need to put it to use wisely and no one can argue with that! Being in civil society myself and having worked as an implementer before taking up a learning position, I remember being a worker bee, constantly on the go with my eye on the results. As I delve deeper into this Learning Pilot project, my job involves setting aside significant amounts of time with partners, helping them to reflect on all their hard work with the end of goal of improving social accountability practices for achieving results (note that the achieving results still remains central part of what we do). I have come to realize learning is by no means an academic exercise for those interested in developing pie-in-the-sky theories. Learning is an important exercise even more so for implementers because the barrier between them and the next level of achieving results may be the inability to value learning and setting aside insufficient time to learn. Another obstacle to learning I have discovered is the risky thinking that as experts or implementers in our field we have learnt it all, so why keep learning? As we have discovered as a program, after a decade of training on social accountability and doing in country work on social accountability, we can’t stop learning. There is still so much to learn because contexts, times, people, policies are always changing and bringing with them new challenges. The only way to maintain the edge and expertise is to always be learning. By continuously seeing the value in learning and setting aside time and resources do so as an organization helps us. I am also finding that academic learning is very different from learning in the real world. Learning in the real world need not be a complicated, time consuming, exhausting or confusing. There is also no need to fear failing a test or exam- the real world is there often is no right or wrong answers as nothing is ever black and white. We are dealing with diverse contexts and challenges, all we can do is experiment with strategies/activities, reflect on our actions, and adapt. You can achieve a whole lot in the real world by simply being observant and reflective or thoughtful. Value learning and make time to reflect on what you are doing and why as lessons emerging from doing sometimes contain the ‘secret sauce’ to moving to the next level. We are never expert enough to stop learning, there is always something new to learn. 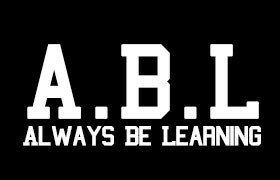 Always be learning! Don’t be afraid to learn from failure, there is often no right or wrong answers in the real world, even what we consider as failures can’t really be failures if we make note of them and learn from them. We have referred a lot to the RLP in our initial posts. Gertrude said it was called the Regional Training Program and it’s changed the focus to learning. If you are not part of the Community, apologies- we have probably not introduced the program and the team well enough! Here is a brief attempt, so that I can get to a point I want to make. The Regional Learning Program and its Community is bigger than this pilot. Every year, several times a year, the team trains people (and those that would like to become trainers) on social accountability. I attended their Grahamstown Fundamentals course with a group of people from Malawi and Tanzania; Uganda and Mozambique. There were civil society individuals, a member of parliament, and a trainer, among many others. Sure I am forgetting many – so I am ready to hear about it in the WhatsApp group! Yes- months after the course, there is a VERY active WhatsApp group. Fundamentals is very intense – do not let anyone tell you otherwise. You’ll probably hear about the course many times in this blog. For now this is what you should know: in Fundamentals it is all about getting and working the SYSTEM. Not a one social accountability tool or another; not just a focus on the budget or the integrity institutions. It is about juggling many pieces of the public resources management system, bringing them together and linking them so that they contribute to progressively achieve rights. In the two weeks of Fundamentals, you look at each part of the system with a magnifying glass and then you zoom out to get the big picture. Sneak peak in the graph. Training is a big part of RLP, but Gertrude also warns ““we and our partners need to avoid falling into a trap of becoming training focused in our strategies.” What else does RLP do? RLP also partners with organizations after they go off to apply the Fundamentals’ approach across Sub-Saharan Africa. It’s a numerous and diverse crowd. Some RLP community members are INGOs, others national and local NGOs. Some are small organizations, others are the tip of the iceberg – leads of large networks of civil society groups who in turn mobilize others. They come from different country contexts. They use and navigate the system to realize different rights. Land? Check. Health? Check. Housing? Check …. The RLP team has a regional community to continue learning – that is where we got the diagnostic and OK for this exercise. Yep, despite diversity there is common ground! The RLP team also tailors partnerships with organizations and groups of organizations in countries. This brings me (finally!) where this blog post started: Gertrude and the RLP Program Officers. They are the ones who do the work of nurturing these partnerships day in and day out in Tanzania, Mozambique, Zambia and Zimbabwe, respectively. I had to highlight the RLP Program Officers. When I think about Bulawayo there is this whisper that keeps popping up in my head: “I know my people”. Translating the whisper in context: you should pay closer attention to “my people”’s expressions. They are not really into this idea as they may seem to you. I know, I can be aware and resist but it is not hard to look like the Chapulin Colorado! Well, at least, listening to the whisper and putting it in perspective – that will come in handy in this rollercoaster ride. Different perspectives. Want to know who helped out? If you are part of this community, you may have already guessed. If not, perhaps if you stick around you’ll figure out! If learning is as much a characteristic of being alive as breathing, then why do we need to bother asking tedious questions like ‘…What makes us learn? …How do we learn? …and How do we even know that we are learning?’ After all we don’t ask ourselves on a daily basis: What makes us breathe? How do we breathe? And how do we even know that we are breathing? Believe me, I was as clueless as the next person when it came to answering the above questions. I probably still am. Yet the PSAM’s Regional Learning Programme (RLP), with my full support, has decided to embark on a two-year ‘learning journey’ in a bold attempt to try to marry our theory of change with the messy and non-linear playground within which we practice. Needless to say, we jumped into the exercise without a proper understanding of what we were getting ourselves into (which is probably for the best) but with a lot of enthusiasm for the end goal which was ‘to demonstrate to the ‘world’ that we are, in fact, ‘learning’ from our social accountability practice. The PSAM is leading this journey as part of a community of practitioners who engage (or so we like to think) in systemic rights-based social accountability work. The primary thing that brought us together was that we all wanted to ‘learn’ from our social accountability practice. During our last meeting, as we sat in a conference room in Bulawayo – the second largest city in Zimbabwe for those of you who, like me, mastered the art of open-eyed sleeping in geography class- wondering what we had got ourselves into, this fearless woman from Argentina decided to yank us out of our comfort zones…before coffee even! Is our right to social accountability a process or an outcome? Are we only able to engage in contexts that are conducive for social accountability work or is our engagement a way of making the context progressively more conducive for the interaction between government and citizens? What influence does our perception of this have on what we learn from our social accountability journey and the reasoning behind the many decisions we will make along the way? Yes, context matters! But to what extent? Under which circumstances? In what ways? When, how and why are practitioners’ experiences, adaptations, decisions unique and when, how and why are they they similar regardless of context? How do we define context in our interventions? Is it a geographical location, a cultural or linguistic grouping, a sector, or something else entirely? How does our definition of context determine what we learn and why? Accountability is always a good thing when it is something we expect from someone else. While we were all very consistent about our expectations from government to justify and explain their decisions, did we see this as something that only applied to them or did this principle also filter into our own expectations of ourselves and of each other on the demand side as well? Are we as enthusiastic about the principle when it is an expectation imposed on us by government? What does this teach us about ourselves? If I was to die on the job tomorrow and wanted to leave a ‘legacy box’ for my successor that passes on the most important lessons my journey has taught me without one having to have been on the journey with me, what would I put in the box and what would I leave out? How would I organize my box? How would I even make someone interested in keeping the box open long enough to learn my lessons with me? So, do you have a headache yet? Don’t say I didn’t warn you. What I do want you to know, though, is that this was a turning point for me. I suddenly began to see the point of the questions I asked at the beginning of this blogpost. It also suddenly dawned on me this was going to be one of those exercises that made you feel terrified and exhilarated all at the same time. Although at that point I felt a bit more terrified than exhilarated, I became totally clear about one thing. Whatever the outcome, this was not going to be one of those marketing exercises where we show ‘the world’ how well we are learning. Personally, I expect this to be an enlightening and enriching experience for anyone who is brave enough to join the journey. If there is one expectation I have, it is that it leaves me with a new understanding of the social accountability ‘playground’ that I have been trying so hard to change for so many years. 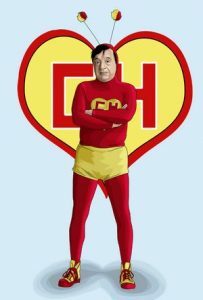 But there is an additional challenge that I am confronted with, time and time again, as an external critical friend: I do not want to be like or appear to be like ‘Chapulin Colorado’. The people who summon him initially think this man in a grasshopper suit has magical superpowers. They trust him to solve their problems. As he addresses the problem, Chapulin often gets some things right. He even tends to brag about his smarts and tiny successes, aided by his classic catchphrase: “You didn’t think I had it in me, did you?” Nevertheless, Chapulin never finds a one shot solution. He inevitably stumbles with more obstacles than he initially is able to foresee, but he keeps trying. After all, his heart is in the right place. It is sometimes silly how this well intentioned underdog continues to fight it out. Time and time again, as a critical friend, I find myself thinking: ‘I am not a red grasshopper; I am not Chapulin’. I share the good intentions, but hope to be better tuned to my contexts and the challenges ahead so that I don’t stumble against so many obstacles that look like obvious for anyone else observing Chapulin (or me). As I try to think how to support colleagues in Bulawayo, I suspect that although they may not be familiar with this Mexican TV character, they most probably have dealt with similar real life versions of this character – minus the comedic effects – before. External, critical friends that do not perceive the obvious challenges and obstacles ahead in the quest to find a solution to difficult learning challenges. So, how to avoid becoming the parody of the parachuting foreign consultant that I suspect is going through people’s minds when they first see us? How do we build trust – a bridge between the external view we might be able to bring, and the internal points of view, for the sake of the project? How does one take advantage of this regional learning opportunity, if not by gaining the Bulawayo people’s trust and open the way to a mutually enriching work path? The ever present struggle of an external consultant: here to support learning and learn herself by doing with others. Hard contextualized work, informed by cross-national perspectives; no magic. A New Chapter in My Life and to MEL! If someone a year ago or even as little as 6 months ago, told me I was going to take up a position as an Monitoring, Evaluation and Learning (MEL) officer, I would have never believed them. This is because I pictured MEL officers as stiff, stringent men in suits, whose responsibility was to peer through hundreds of documents, looking for shortcomings and making judgemental recommendations which most of the time are neither grounded in context nor reality. This image I had conjured up of MEL officers and the work that they do, is nothing at all like me and it did not sound like a career I would enjoy. And yet here I was as the newly appointed MEL officer for The Public Service Accountability Monitor’s (PSAM) Regional Learning Programme (RLP). You might be wondering then why I took up the position given my misgivings. Well the PSAM is like a second home to me. My career in Social Accountability Monitoring (SAM) began and developed at the PSAM. Even though I left the organization to pursue other opportunities, I still made sure that my work consisted of applying social accountability monitoring in some shape or form. During the several years I worked at PSAM, I was privileged to witness the adoption as well as adaptation of the SAM methodology (also known as the PSAM approach) in the region. Why other organisations in the region were buying into the SAM and how it is they were applying it in the different contexts has always piqued my interest but my time at PSAM was mostly focused on applying SAM in the South African, provincial Eastern Cape context more specifically the housing sector. So when the opportunity to learn about SAM presented itself in the form of an MEL officer, I grabbed it with both hands. I wasn’t being appointed to create more complex and confusing numerical indicators, peering through documentation in order to make misplaced recommendations but instead I would be embarking on a journey that will enable RLP and its partners to reflect, learn and uncover their limitations and adapt their approaches to implementing SAM. I would be part of a process that would enable RLP and its partners to make comparisons across contexts for lesson learning for the purposes of improving their overall strategies and social accountability practices in the region. Further than that, I get to embark on this learning journey with two ‘critical friends’ of the PSAM who through the process of learning about RLP and its partners work in the region can better assist us to capture lessons that would lead to improving our SAM approach for effectively achieving service delivery or public policy outcomes. These critical friends are nothing like the images of MEL officers I had conjured up in my head. They turned out to be two intelligent women with colourful careers whose experiences emanate from working in different capacities as researchers, media consultants, mentors, free lancers, writers just to mention a few! The cherry on top was that they made learning fun! My first two weeks on the job with ‘critical friends’ of PSAM was by far the best two weeks in a newly appointed and daunting position of MEL officer. They showed me how through meaningful analysis and reflection, the kind of information the learning project will uncover will empower RLP and its partners to constantly test and adapt its theory of change practices and strategies. I am happy to say I am PSAM’s RLP MEL officer mostly because I shall begin this new chapter in my career with the Learning part of MEL which means the biggest focus of my work will involve answering burning learning questions, highlighting and sharing creativity, skill, insight into contexts. This sounds a lot like me and a career I would enjoy – breaking new ground! Making jokes about being asked to leave Zimbabwe back in August helped to take the sting out of the fact that I missed an important meeting. Over the course of a couple of snatched moments after dinner and lunch I had a chance to talk to Florencia Guerzovich about the project. The project that Gertrude Mugizi had introduced to me a few weeks before in broad terms is starting to take shape. Especially after getting a chance to listen to practitioners talk about their challenges and experiences with the perpetually tricky business of documenting learning. We are talking about Monitoring and Evaluation and Learning. There will be logframes and strategy documents and piles of information to sift through. There will be indicators and acronyms and references to this methodology versus that methodology- a challenging area for me. Numbers are not my natural habitat! There will be so much complexity- how will something come out of this massive pile of information? Getting an opportunity to learn how that could be done is exciting. The PSAM has engaged in various methods to document its activities, outcomes, evolution over time. Of particular interest to me in this project is using a public sphere to discuss the complex business of learning: the PSAM’s online community of practice- COPSAM- is a perfect place to experiment with that. If we journal the processes and thoughts and experiences of this Pilot, we hope to invite broader dialogue with social accountability community, most especially the PSAM community itself. So in those few rushed meetings in Bulawayo amazingly enough some of the potential of the project happened over a few very intensive conversations and a few initial ideas. The Pilot is ambitious and though the destination is clear, plotting the way towards it will be where the , the dynamic part. Sadly I was back to Dar es Salaam prematurely, which was an excellent lesson for me with regards to the importance of context. Learning indeed.